Welcome to our anonymous Hoarding Support Group! Anonymous? Yes, nobody can see or hear you, we just type back and forth. Feel free to make up a fake name in the chat room for even more protection. We just want you to join us, we don't need to know who you are. Finally a safe place to find help, and while you are at it maybe find a few friends! 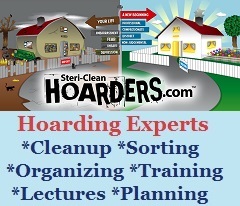 We welcome anyone to join us in our friendly and non judgmental forum to discuss issues related to hoarding. The group is open to those that suffer directly from hoarding, or their loved ones and friends. This meeting typically lasts about 2 to 3 hours. 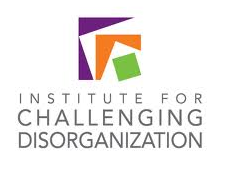 Join others just like you that understand the clutter issues that so many millions of people suffer from. Learn tips on how to help yourself or a loved one. This is a peer to peer support group. Nobody knows just how you feel like people that struggle alongside you. Make friends that understand you and join in our Tuesday night chat!